Aaaaah, fresh air! It’s like the earth turned on an air purifier and sun lamp to awaken us from our annual hibernation. There is excitement all around and almost everyone at my school seems to have a bounce in their steps. This is probably because we are not getting weighed down by clunky boots, toques, scarves, mittens, snow pants, and parkas. Spring has arrived, and the classroom has come alive again. Is there anything like a fresh breath of air that comes with Spring? From our class window we watched a stubborn, dirt-laden snow pile melt into oblivion. We beat you this year Winter! And now we wait for the field to dry so we can, once again, run free over our own school savanna without fear of a mud bath. Now that it’s official, it means there are a little more 9 weeks of school left for 2015-16. 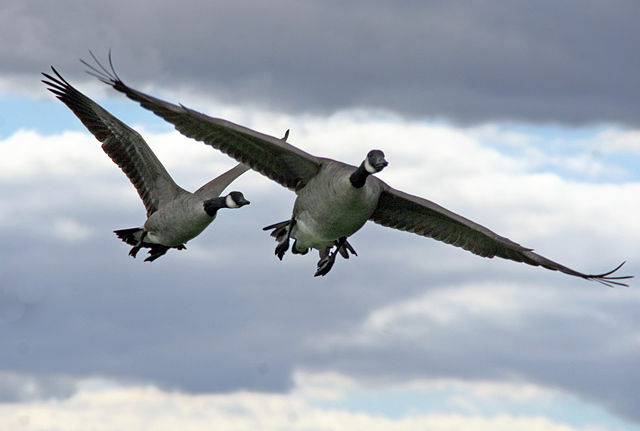 Thoughts of changing classrooms, grade assignments, or moving to a new school are popping up like the buds on a tree and returning Canada Geese. And then it hits – the sudden realization that reports cards are due in 7 weeks…or less. This post is not intended to scare you, but to encourage you through what are some of the most incredible chances to teach, learn, and grow your classroom community. Have you taken advantage of planning some lessons that include the great outdoors? One of my favourites is called Survivor – School Perimeter. In this lesson teams of students must complete Math challenges for a chance to win the choice of measurement tool they’ll use to find the perimeter of our building. Tools range from a broom handle, ruler, metre stick, rope, and Popsicle sticks. Students get to enjoy the time outside while sharpen their measurement and team skills in a large scale task. The activity culminates with students drawing scale diagrams of the school based on their measurements. 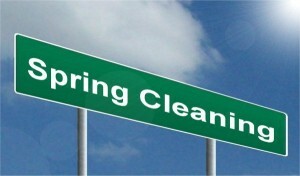 The great weather has also lead to community service projects. 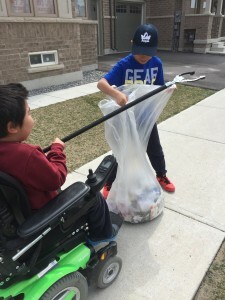 Last week our school celebrated Earth Week and spread out through our neighbourhood collecting trash from the lawns, sidewalks and side streets. Students were given gloves, a few trash bags and a half hour to tidy one block of our subdivision in Markham. This activity promoted civic pride, community outreach, and good environmental stewardship. Students could see the visible difference of their collective efforts and felt a sense of ownership and pride by their actions. So with the weather warming, and the instructional days flying by faster than geese with jet packs heading north it’s time to get outside, take a deep breath, and enjoy some incredible outdoor learning opportunities. Thank you. Do you have a favourite outdoor activity or go to lesson now that the weather has improved? Please share it in the comments section below and help keep the conversation going. See you out there.